I know we are weird but we love, love, brussel sprouts, steamed, baked, roasted, caramelized....you name it, we love it, but they really stink up the house especially when steaming them. 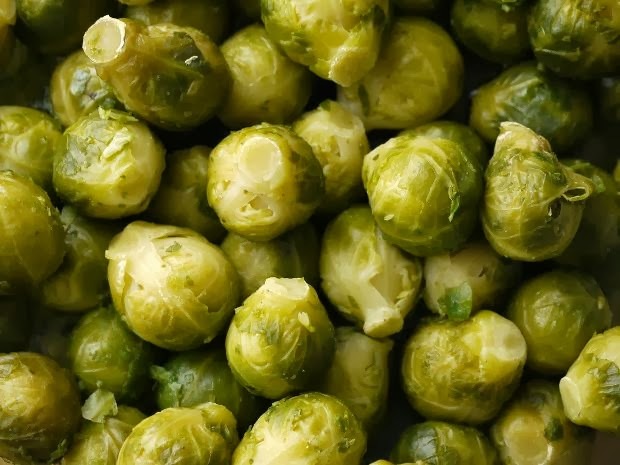 Try putting a piece of uncooked celery in the water that you are steaming your brussel sprouts in, it doesn't completely eliminate the smell but it helps. You can have a bowl of plain ol white vinegar next to the steamer to absorb some odors too. 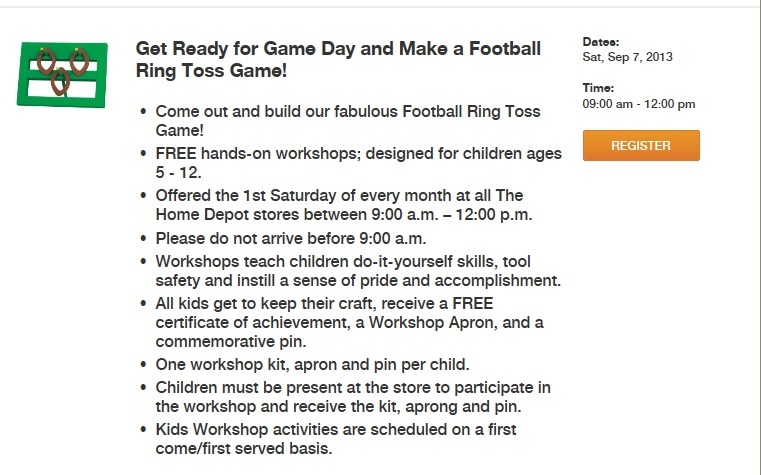 Get in on the Free Kids Home Depot Workshop, it's held every first Saturday of the month at participating Home Depot's from 9-12. Kids have a blast, they get to build something and they are so proud when they finish. Looks like they'll be making a Football Ring Toss this month. Go Here to register.